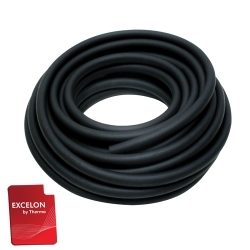 3/8" ID x 1/2" OD x 1/16" Wall Excelprene TPE Industrial Grade Tubing | U.S. Plastic Corp. Minimum Bend Radius: 2-1/4", Maximum Working Pressure @ 73°F: 7 psi.